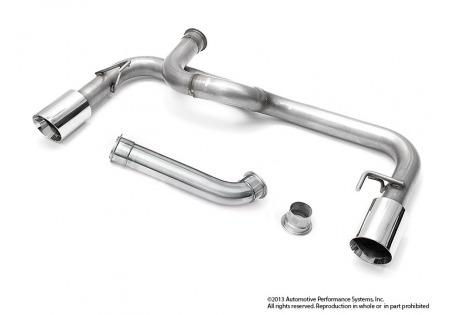 Neu-F Stainless Steel axle-back race exhaust system is constructed from T304 stainless steel with 2.5'' diameter tubing and connected with a ''V'' band clamp and adapter to connect to original middle pipe for the ultimate sealed yet adjustable connection. 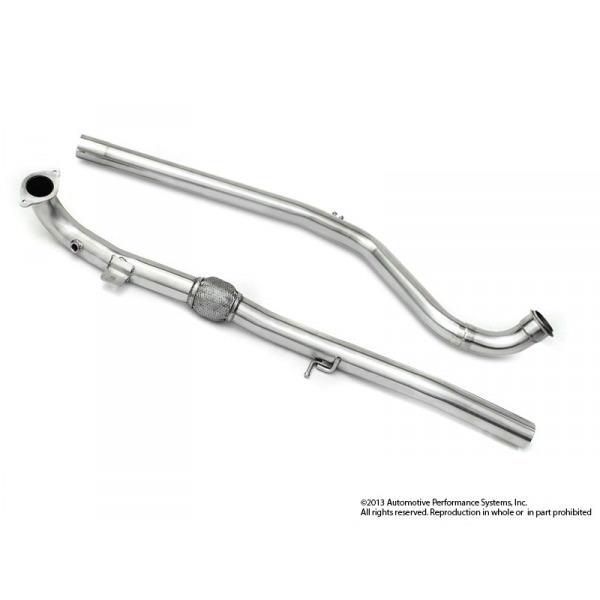 Furthermore, gas travels on a path with least resistance which brings us to the other key feature; 'Y' split right at the middle to maximize exhaust flow, where most of our competitors just copy the factory uneven bend shapes. 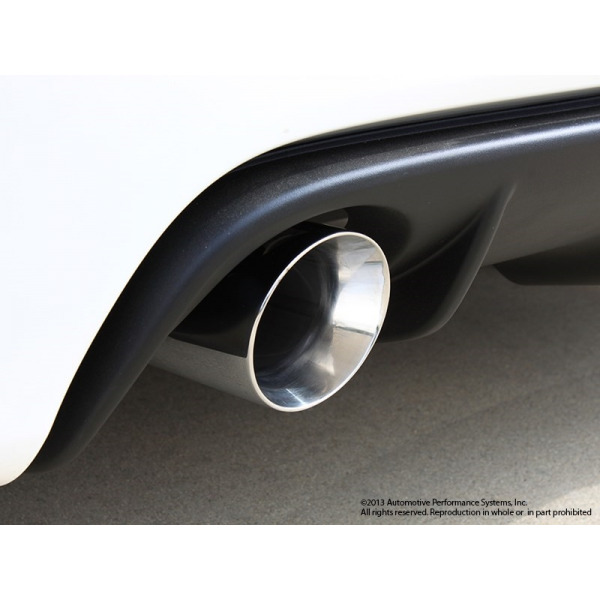 Neu-F Race Exhaust system retains the factory's average dB level but it changes the resonance and enhances the aggressive 'burble' and 'popping' note. 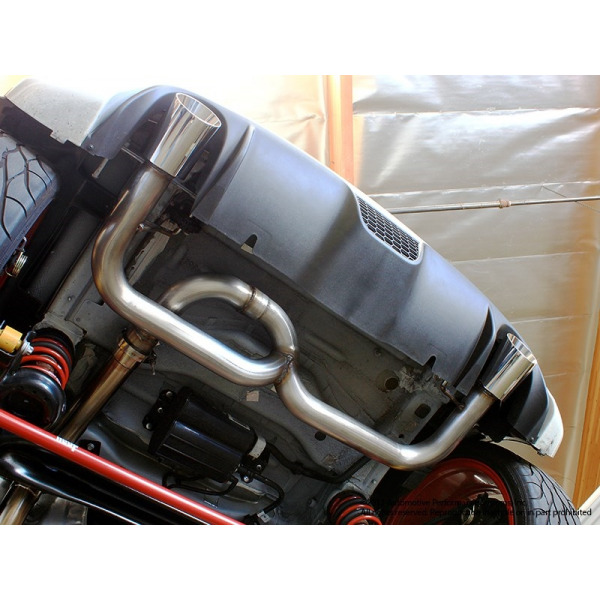 Neu-F Stainless Steel axle-back exhaust system rivals the best that Europe has to offer! 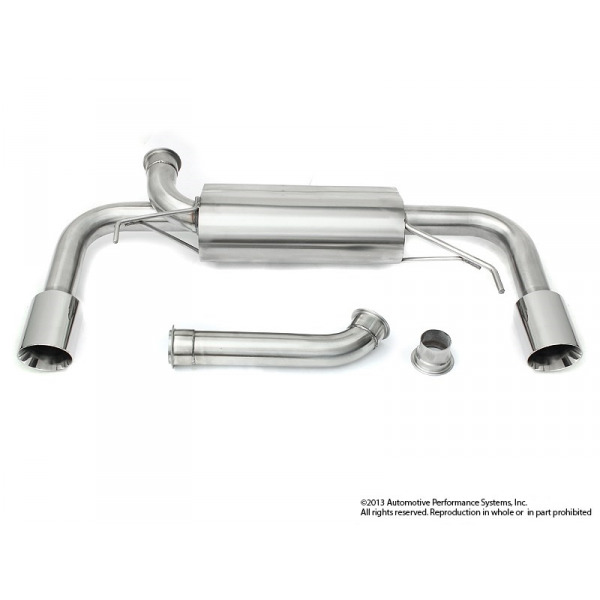 Neu-F exhaust will give that deep performance tone, not the high pitch raspy sound like the OE system. 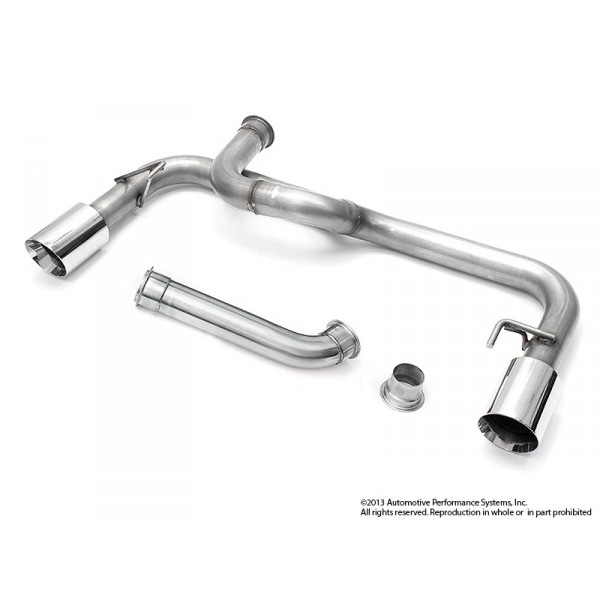 Exhaut system includes: Low restriciton muffler, T304 2.5'' Stainless Steel Mandrel bent tubing, precise fit ''V'' band clamp connections and Adapter to connect to original middle pipe and hardware.